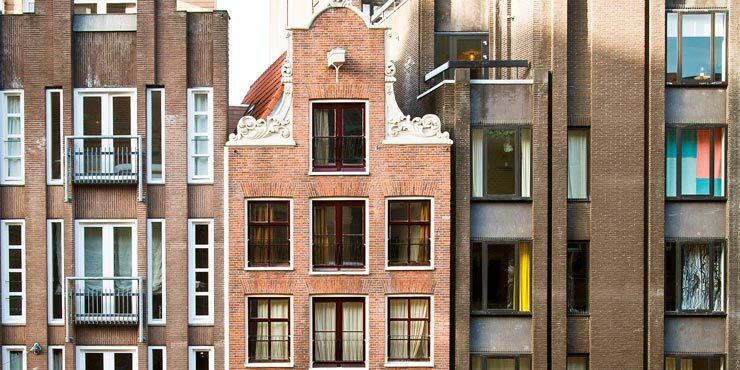 The hotel is situated on the Damrak, one of the liveliest and oldest streets in Amsterdam. The room interiors at this creative concept hotel rival unique art exhibitions. What sets this hotel apart is that each room is individually dressed, just like a model on the catwalk. The unusual design based on fashion metaphors was created by graduates and alumni of the Amsterdam Fashion Institute, under the tutelage of the INA MATT studio and in collaboration with the Dutch Textile Museum. The bathroom design features functional and economical GROHE Eurosmart fittings, which are equipped with GROHE EcoJoy® technology to reduce the water consumption by up to 50%. With their perfect flow of water, GROHE Grohtherm 1000 thermostatic mixers for baths and showers in conjunction with the GROHE Tempesta duo shower set transform the hotel bathrooms into a sensual water experience in a relaxing oasis of well-being.